See how we do Plan for Demolition Services at Melbourne! Thought the term demolition connotes negativity but as a natural law demolition is the precursor of a new beginning. Demolition is a planned & sophisticated process, which deals with wear and tear of the buildings and other man-made structures. Destructions of man-made structures may be due to natural calamities like earthquakes, volcanoes, hurricanes or man-made disasters like war or terrorist attack. Demolition differs with the destruction as it is man-made, planned and meant to create a new structure or new facility or amenity. Demolition is always carried out with precision and proper safety measures to avoid any ill effects on surrounding buildings, environment and human health. We at Melbourne demolition ensure smooth and hassle-free demolition with efficiency and complete customer satisfaction. 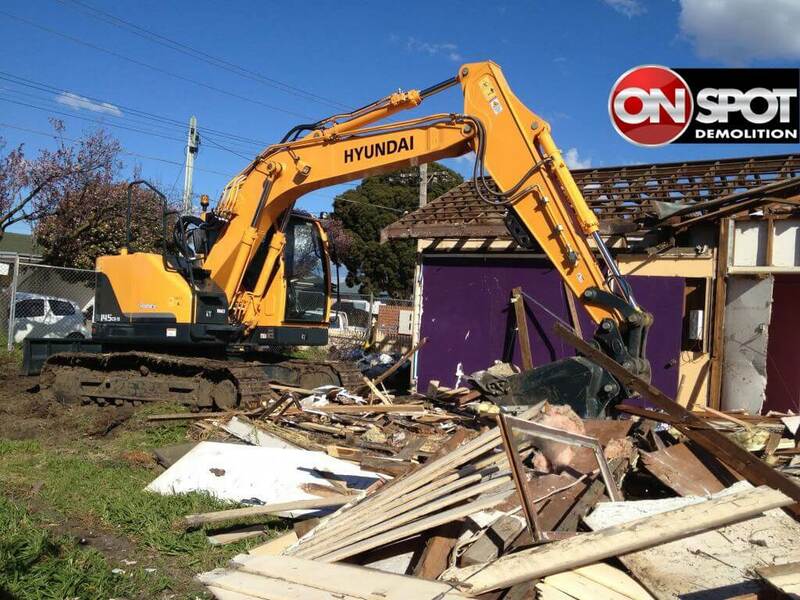 At On spot Demolition Melbourne, we provide you with all kinds of demolition services: House demolition, commercial demolition, industrial demolition and environmental demolition. Keeping in the mind the desire of Australians to create a new innovative, environmentally friendly structures and design, we provide smooth demolition. Recent technology advancement has made the demolition a previously tedious task a smoother one. Armed with advanced equipment’s and vehicles our professionals at On spot Demolition Melbourne complete the task with ease provide you peace of mind. Demolition process for two or three-story building is smoother, less time-consuming and cost-effective. It involves knocking down the old house, taking away all the leftover and cleaning the site to build a home of your dreams. Demolition of structures surrounded by residential or densely populated areas is intractable where we apply utmost care and safety measures. Cost of demolition service hinges on the nature of projects. Size of the building, material of the building and surrounding environment of the building. Depending upon the requirement of demolition in terms of the size of the structure, material of the structure, surrounding the structure we execute demolition under strict expert advice. Using: wrecking balls, hydraulic excavators, high reach demolition excavators, loaders or bulldozers. We at Onspot Demolition Melbourne help you to realize your dream for house renovation and rebuilding through our hassle-free services. How Demolition Services in Melbourne can help remove Asbestos? Why experience matters in selecting Demolition Contractors?